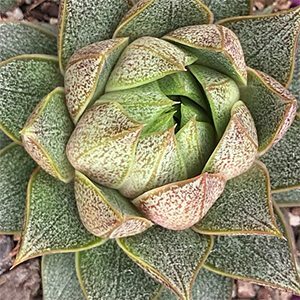 All Echeveria varieties will vary in leaf colour depending on the season and the amount of sun that they receive. In many cases leaf colour can vary from green to pinks and red depending on season and position. With hundreds of different types available we look at some of the best species and cultivars for you to grow at home. 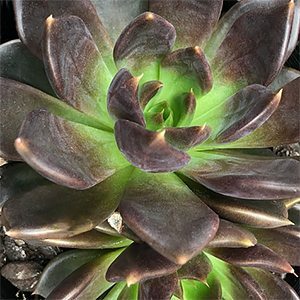 Many cultivars do look similar and identification can be difficult, we hope the images below assist with determining which Echeveria is which. 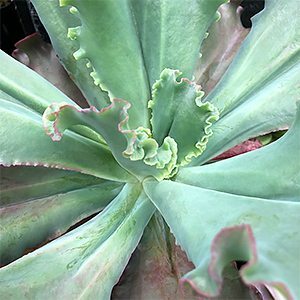 If you are wondering what those Echeveria are with bumps on their leaves, the big frilly ones with amazing colour, they are mostly Echeveria gibbiflora hybrids. From Mexico, this is a species that grows in rocky ground in the hills and mountain areas. 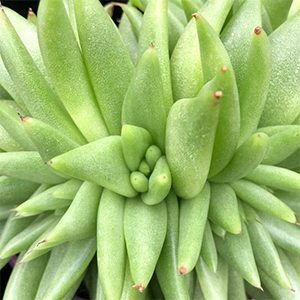 Here this amazing plant receives perfect drainage, good airflow and hence low humidity, as well as good sun, however usually shelter from the heat of the hot afternoon sun. 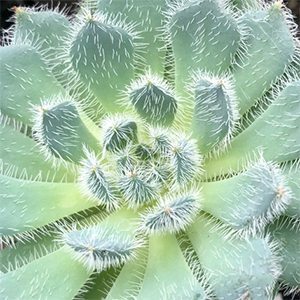 So Echeveria gibbiflora which is a ruffled species, is responsible for many of the fascinating hybrids that we see today and those bumps are called carunculations. 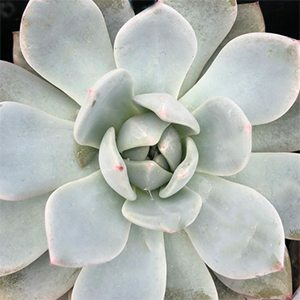 So we have Echeveria gibbiflora var. ‘Carunculata’, and this comes in many named forms. This is a large leafed variety with rosettes that can reach to 30 cm across. The foliage is green to red, leaf margins are tinged with red to pink and flowers appear in winter. Sometimes called the Mexican Firecracker, the spoon shaped leaves are covered with fine white hairs. Flowers are red with yellow tips on tall stalks. This is one of those varieties that is is a little confusing, it is often listed as E.purpureum, and also know as ‘Urbinia’, slow, but easy to grow. 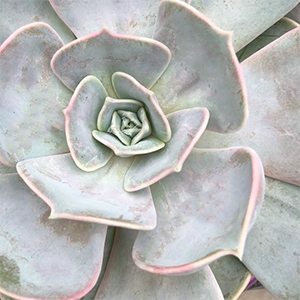 Silvery blue leaves and a very attractive variety, tight rosette forming with just a blush of pink. Foliage emerges green near the centre and then turns to a deep brown to black. Leaves are a little triangular compared to some. 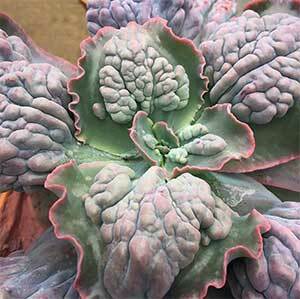 Sometimes called the ‘Ghost Echeveria’, spoon shaped silver gray leaves blushed with a pale coral pink. 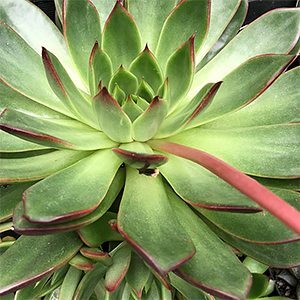 A species Echeveria with green foliage, flowers pink to red as with most varieties.